The Queen's Gambit Declined has been the workhorse for many if not most of the World Champions. The well prepared player of the Black pieces can feel secure in the knowledge that the slightest mistake by White can yield full equality and even if White knows all the moves his advantage will be microscopic. In addition to the standard lines, this book contains a number of interesting suggestions that have never been implemented. 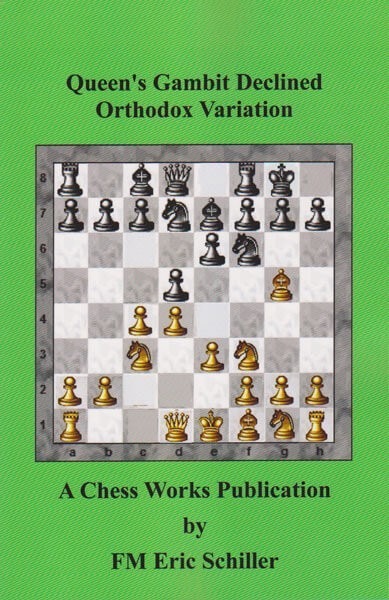 This book has been updated with a supplement containing the latest games and grandmaster analysis in 2012. Eric Schiller (born March 20, 1955 in New York City) is an American chess player, trainer, arbiter and one of the most prolific authors of books on chess in the 20th century. In 1974, Schiller was the Illinois Junior Champion. Schiller played for the University of Chicago team several times at the Pan American Intercollegiate Team Chess Championship. He was an organizer of the Hawaii International chess festivals 1994-98 including 1998 US Open California Champion 1995. Later that year, he appeared as a chess adviser for the music group Phish on some of the stops for their "Chess Tour" where they played an ongoing game of two chess moves per tour stop and some "band vs. audience" partial games as part of their stage performance. Schiller was an arbiter at several notable games and championships including the FIDE World Chess Championship 2000. While Vladimir Kramnik and Garry Kasparov opted not to participate in the event, they had both endorsed Schiller for this sensitive role during the planning stages. As of April 2009, Schiller has a FIDE rating of 2166. He is also an International Arbiter and International Trainer. Schiller's expertise and publications in the Flohr-Zaitsev Variation made him a sought-after expert when Gary Kasparov used that opening at the second game at the World Chess Championship 1990.